Interested in opening an account for your business? Chase business checking is just the beginning – and they are committed to convenience, customer service, and account security. In branch, online and by phone – it’s banking that works for you & your business. 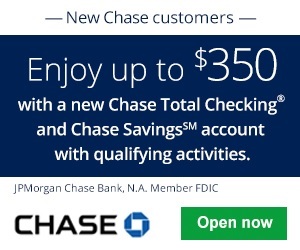 Definitely consider opening the Chase Total Business Checking® Account – their most popular checking account! This account is most ideal for small and growing businesses and you and benefit from the following features with any business checking account: mobile banking, online banking, getting access to 16,000 ATMs, debit cards, & more! Wait there’s more! 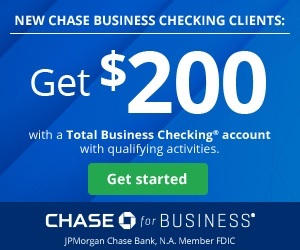 If you’re a new business checking customer opening the Chase Total Business Checking®, you can earn a $200 bonus when you deposit $1,000 in new money within 20 business days of account opening, maintain that balance for 60 days, and complete five qualifying transactions within 60 days — debit card purchases, Chase QuickDepositSM, ACH (Credits) and wires (Credits and Debits). You will need a coupon code to redeem this offer! You can click “Get Coupon” below and be directed to the promotional offer page to submit your email to receive the coupon offer! 2 Where Are Chase Brick & Mortar Locations Available? Where Are Chase Brick & Mortar Locations Available? Chase is available nationwide – however the physical locations are located in the following states: AZ, CA, CO, CT, FL, GA, ID, IL, IN, KY, LA, MI, NJ, NV, NY, OH, OK, OR, TX, UT, WA, WI, WV. Important: Many of our sources and readers have said they are not able to receive this bonus because of their location. 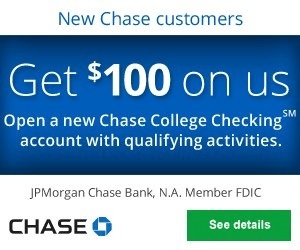 Be sure to contact a Chase representative to see if you qualify. Note: You can only receive one new business checking account related bonus per calendar year and only one bonus per account. Chase Total Business Checking®: If you are eligible for this bonus offer, visit the link provided or click “get coupon” below and submit your email to receive the coupon code. Then visit your nearest branch to open a new business checking account and meet certain requirements. If you are interested in more Chase Bank Deals, Bonuses, and Promotions, see our compiled list of Chase Bank Coupons. Click the link above or “get coupon. You’ll then be directed to the offer page where you can enter your e-mail and Chase will e-mail you a bonus coupon offer. Otherwise only $12 when you enroll in paperless statements. The Chase Total Business Checking® Account comes with some domestic and international fees on transactions. Some of the fees will apply when there are insufficient funds, when using a non-Chase ATM, and overdraft fees. Below are the listed fees so you can be prepared when using your Chase Total Business Checking® to avoid as many fees as possible! Monthly Maintenance Fee $15; $12 when you enroll in paperless statements. 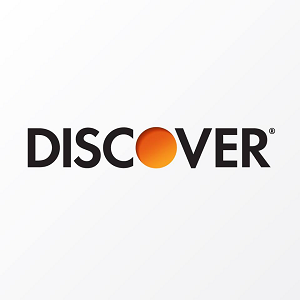 Cash Deposit Fees 0.3% for each dollar over $5,000. Effective as of 11/11/2018 and are subject to change. For more details on Chase Total Business Checking® fees refer to their terms and fees page. Already have an existing business checking account and you want to make the switch? Chase makes it easy with just four easy steps! You can use their online checklist! You will find all the info & forms you need to transfer your current business checking account to your new Chase Total Business Checking® all in one place. Chase wants this transition to be as smooth as possible so below is a checklist to help guide you through the process so you can start taking advantage of all the convenient benefits Chase has to offer you! If you would like to print out the checklists, Chase has provided this checklist PDF file for you. *Business accounts and services are subject to approval. Terms, conditions and fees may apply. 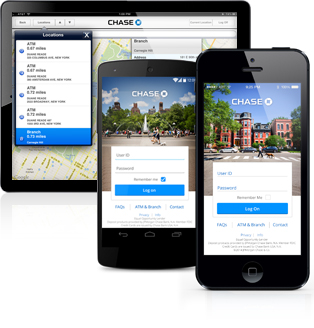 **Chase Mobile® app is available for select mobile devices. Enroll in Chase OnlineSM or on the Chase Mobile® app. Message and data rates apply. ***Chase is not responsible for any fees/costs associated with closure of existing accounts or transfer of funds. ****Chase is not responsible for former account fees and charges associated with cancellation of automatic payments and deposits. Save time with digital tools that help you bank from virtually anywhere. Paperless Statements: Access up to 7 years of statements online or on your mobile device. Online Bill Pay: Make payments securely at chase.com or with your mobile device. Access & Security Manager: Delegate how you manage cash online without giving up control and security. Account Alerts: Securely manage your money on the go. 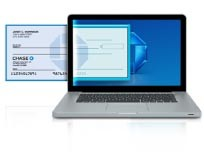 Chase QuickPay® with ZelleSM: Easily send money to another person without cash or checks. Wire Transfers: Transfer money across the country and globe. 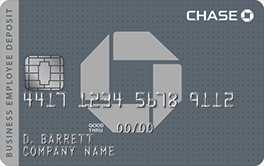 Chase QuickDepositSM: Use a scanner (contract required, fees may apply) or mobile device to deposit checks directly into your checking account. Pay Bills Online – Send payments to virtually anyone or any company in the U.S. with Chase OnlineSM Bill Pay. Pay bills electronically; no need to buy stamps or write checks. Track expenses with up to 13 months of payment history. Chase will deliver most payments electronically in two days or less. And there is no monthly service fee for the Bill Payment Service. Your online bill payments will be sent on time—Chase will guarantee it. Just schedule a one-time or repeating payment and they guarantee to send the payment on the scheduled date. Add a description to each of your bill payments and make your record keeping even easier. It’s like writing a memo on a handwritten check, but more private since the description will not be sent to your payee. Secure, clutter-free, real-time access. Switch for an easy, worry-free statement reminder. Paperless statements are easy to access and help you stay organized, even away from home. Why wait for the mail? You’ll get email alerts when your paperless statements are ready. Give Paperless A Try: Paperless statements allow you to access your statement virtually anytime, from anywhere with Chase OnlineSM or the Chase Mobile® app. And you always have the option of going back to paper statements if you choose. Sign in to the Chase Mobile® app. Your eligible accounts will be listed to start receiving paperless statement notifications. Accounts toggled on are set to paperless. After that, your statements will be paperless, which you can access simply by tapping on “See Statements.” You may update your preferences anytime you’re signed into the Chase Mobile® app by going back into your Paperless settings. You’ll see a page with confirmation of your updates and the email address to which your paperless notification will be sent when your statement is available each month. After that, your statements will be paperless. Simply sign in and click the “Statements” button in the summary section for the applicable account. 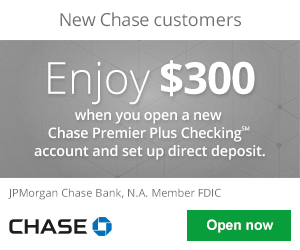 You may update your preferences any time you’re signed into Chase.com by repeating the steps above. Note: It may take a month or so to stop receiving paper statements in the mail. Q: Can I look up paperless statements from previous months? How far back can I access previous statements? A: Yes, you can securely access up to 7 years of statements online depending on account type. To view, save or print an account statement, select the “Statements” button within the applicable account summary, choose the See/Save icon next to the year and month of the account statement and click the dropdown list option for your desired action. Q: Will the paperless statements include information for all of my Chase accounts? A: No, it will only include the information for the account listed on the statement. Q: How do I go back to receiving mailed statements? A: You may update your preferences any time by going back into your Paperless settings in your Chase Mobile® app or, when you’re signed into Chase OnlineSM, by selecting the “Paperless” button within an account summary or “More settings” under the “My Profile” icon in the top right corner of your browser. Chase offers a wide range of Account Alerts that help businesses manage their finances and keep their accounts safe. Immediate updates help you stay current. Monitor your business account activity and transactions with personalized Daily Alerts. Choose the Alerts you want, set dollar or other activity thresholds and Chase will notify you by the method you select including e-mail or text when your account alerts thresholds are met. Receive a text if you overdraw your business account or your balance dips below your preset limit. You can immediately send back a text to transfer funds. It’s fast, easy and helps avoid potential fees. Save time managing your business accounts. Maintain total control. Set up multiple business account users (such as your accountant or bookkeeper) with unique User IDs and Passwords. Control what accounts users can see, including statements, check images and deposit images. Allow users to pay bills and employees, make certain federal tax payments, transfer funds and wire money.1 You can limit the dollar amount of these transactions. Give users the power to approve payment transactions. Monitor online activity through our reporting capability. Save details of frequent payees for faster transfers. Access up to 13 months of wire transfer history. Take advantage of the global transaction capabilities of Chase to send payments in more than 35 different currencies worldwide. Submit wire requests anytime. Interact face to face with branch personnel. Send repeat wire transfers to the same recipient. Send wires domestically, or take advantage of the global transaction capabilities of Chase to send payments in more than 35 currencies worldwide. Send wires domestically or take advantage of the global transaction capabilities of Chase to send payments in more than 35 currencies worldwide Submit a request as late as 4 PM ET and have it processed the same business day. Did you know? With Access ManagerSM, you can delegate users to request and approve wires. Give and get money faster. It’s easy, secure, and free. Chase QuickPay is better together with Zelle. Send payment to virtually anyone, anywhere. Or, have someone send your company payment—without cash or checks. This is an ideal method for your business to transfer funds if it has a low volume of payments and collections. Zelle is a multi-bank person-to-person payment service available to almost anyone with a U.S. bank account. It’s now easier than ever to send and receive money from others, no matter where they bank. If you make payments and collections in high volume, check out our ACH Payments and ACH Collections services. Convenient: Pay other businesses or request payments from your customers. Simple: Enroll online and use Chase QuickPay from your computer or mobile phone. Secure: Protect yourself. You won’t see your recipients’ account information, and they won’t see yours. 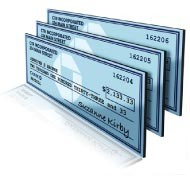 Deposit paper checks without visiting a branch. Deposit money without ever leaving your office. With Chase QuickDeposit, our remote deposit solution, you just scan your paper checks and send the scanned images electronically to Chase for deposit into your checking account. Chase QuickDeposit can help you streamline your deposits and gain access more quickly to your funds. You’ll save time and money while you enjoy Chase QuickDeposit’s 24/7 convenience. Save time. Eliminate trips to the bank and skip the deposit slip. Stay safe and secure. Reduce paperwork and store transaction history online. Access your money anytime. 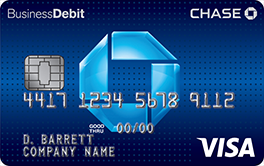 Deposit checks anytime and manage business finances on Chase.com. Use a tool designed expressly for businesses. Choose from a range of desktop scanner options to suit your needs. QuickDeposit with the Chase Mobile® app. 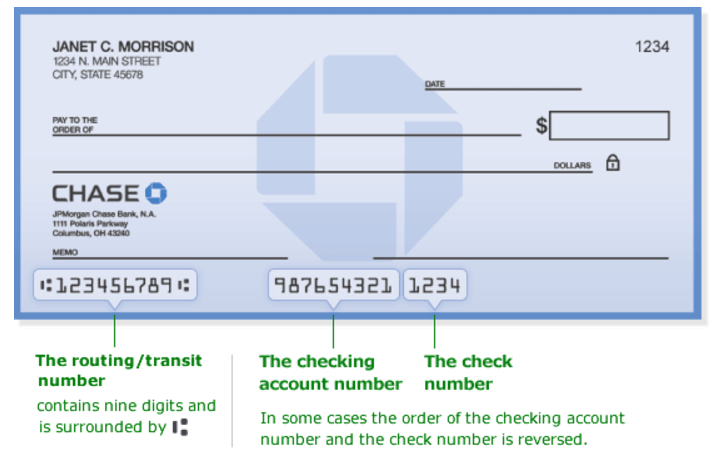 Simply snap a picture of your check and follow the on-screen instructions. Single Feed Check Scanner. $25 a month. Contract required. Fees may apply. Multi-Feed Check Scanner. $50 a month. Contract required. Fees may apply. The convenient and safe way to pay and access ATMs. 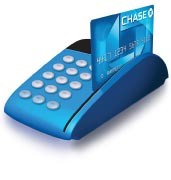 To notify Chase about an unauthorized transaction, please call Telephone Banking at 1-800-CHASE38 (1-800-242-7338). Or, visit a Chase branch and complete their Debit Card Statement of Dispute. Chase will credit your account by the end of the next business day as they resolve the unauthorized transaction dispute. Final credit to your account is subject to verification. See and print the complete list of Visa Business Card benefits (PDF) and find out more about the Visa Partner Advantage. Easy ways to accept and make payments. Payroll Services: Convenient payroll options for businesses of all sizes. Plus, take advantage of human resource and payroll solutions delivered by ADP®. Convenient payroll tax filing options – let ADP deposit and file taxes for you – or receive instant reminders when taxes are due, you decide. Business Banking Collection Services: Simplify managing your business with services to help increase cash flow. 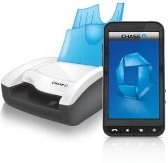 Chase QuickDepositSM—Deposit checks anytime, anywhere using a special Chase scanner on your desk or the Chase Mobile® app on your smartphone. Cash services—If your business deposits less than $10,000 a day, Business Deposit Express can process your deposit faster and provide convenient over-the-counter or all day deposit access. Stay in control of your finances even when you’re out of the office. The power of Chase wherever you are. Whether you prefer text banking, your phone’s mobile browser, or one of the award-winning Chase Mobile® apps, you have the freedom to bank virtually anywhere, anytime. And the Chase Mobile® app is free. All your banking, in your pocket or purse. Download the Chase Bank App today via iOS or Android. Account updates always at your fingertips. Send a text. Get a snapshot of your account. Chase makes it easy for you to check how much money is in your business account. Just send Chase a text to 24273 (that’s “Chase” on your keypad) and we’ll send you a text with your balance and more. Check your business savings or checking account balance. Check the payment date and amount of your next credit card bill. Account Alerts help you control your finances, keep your business account safe and help avoid overdrafts. Chase will notify you when transactions or ATM withdrawals exceed your limits or when your online User ID, Password or mailing-address changes. And with Chase Instant Action Alerts℠ , Chase will send a text if your business account dips below your preset limit. Then simply reply by text to schedule a transfer. It’s fast, easy, and free. Monitor your banking transactions and keep fraudulent activity away from your accounts with Chase Fraud Protection. Instantly receive text, email, push or phone alerts if your account is overdrawn or dips below a level you set with Chase Account Alerts. Also, you will be able to set different types of alerts depending on your preference. Now that you’ve considered opening a new Chase business checking account or switching to Chase, here are a few personal checking account options that you may find appealing. For Chase Total Business Checking, Transaction Fees will not be charged for all electronic deposits, excluding incoming wires, and the first 100 debits and non-electronic deposits each statement cycle. There will be a Transaction Fee of $0.40 for each debit and non-electronic deposit above 100. Electronic deposits are deposits made via ATM, ACH and Chase QuickDeposit. The first $5,000 in cash deposits per month with no fee (standard cash deposit fees apply above $5,000). 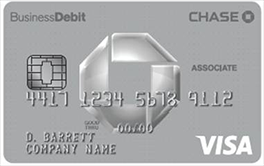 A $15 ($12 with Paperless Statements) Monthly Service Fee will apply to the account each statement period; however, the Monthly Service Fee will be waived if you maintain a minimum daily balance of $1,500 or more in this account or if you maintain a linked Chase Private Client CheckingSM or Chase Premier Platinum CheckingSM personal checking account. Linking for pricing purposes will not affect your statement and does not link account for overdraft protection. Overdraft protection must be requested by you. Other fees may apply. Fees and product features are subject to change at any time. All accounts are subject to approval. Minimum daily balance is based on your ledger balance at the end of each day. Reach someone helpful 24/7. Call 1-800-935-9935! 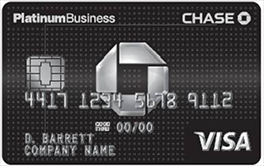 Definitely consider the Chase Total Business Checking® if you’re looking to open an account for your business! This account is ideal for small and growing businesses and it comes packed with beneficial features! There’s a reason why Chase is at the top! Let us know in the comment section below on your thoughts and experience with this bonus offer! Be sure to check back on BankDealGuy for more bank promotions or our list of Chase Bank Promotions!